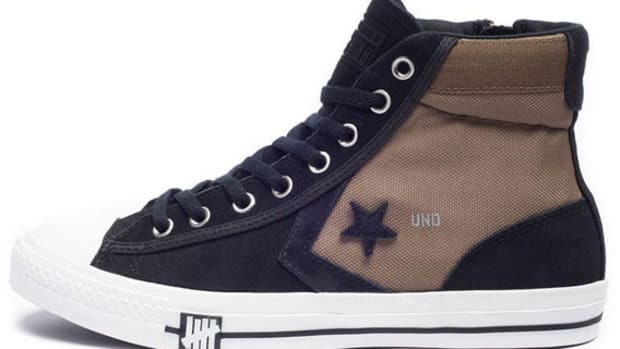 Following the success of its previous collaboration with UNDFTD (UNDEFEATED), CONVERSE will be introducing a more comprehensive collection this season. 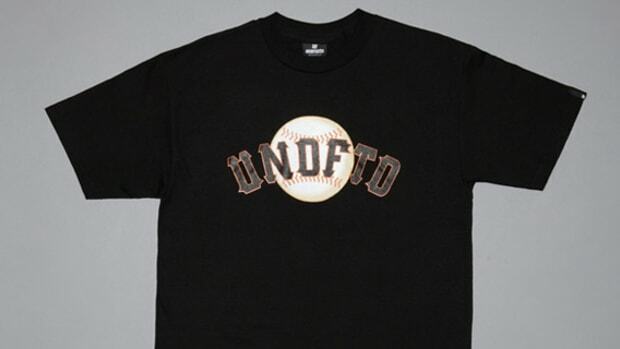 Spearheaded by James Bond and Eddie Cruz of UNDFTD, the collection revolves around the catch phrase of "Born Not Made", a notion that personal success comes not from entitlement or something to be bestowed upon. Rather, its from the in-born drive to take risk, to work hard, to succeed. Drawn references from iconic basketball silhouettes within the CONVERSE archive, both CONVERSE Pro Leather and CONVERSE Star Player will be the anchors of the collaboration. Clad in either ballistic nylon or MA-1-esque construct, both certainly bear the trademarks of UNDFTD, if not the resemblances of its past collabs, through and through. In addition, the limited collection will include apparel and accessories in similar design concept. The UNDFTD x CONVERSE - "Born Not Made" Collection will be available exclusively through select Foot Locker retail locations in the U.S., Canada, and Australia starting this week. In the meantime, we caught up with CONVERSE designer Matt Sleep and talked briefly about the project, which you can see here. As with any collaboration, how did this particular one got its start? 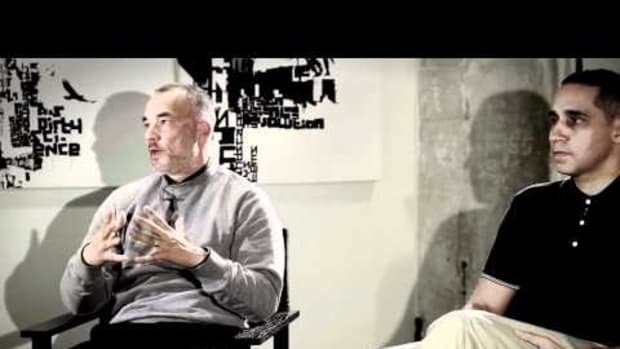 The teams at Converse and Undefeated have known each other in both a personal and professional capacity for some time. Over the last few years we&apos;ve worked on several projects which have always been received with great success and enthusiasm. The idea of this particular project was to expand on this success and to develop a full collection of footwear, apparel and accessories which would reach a broader audience than we haven&apos;t had opportunity to do up until now. One thing that stood out immediately was the inclusion of Foot Locker, whereas before most UNDFTD collaborations were available exclusively through them only. Why the change? The sneaker industry has itself changed a lot over the last 10 or so years, especially when you consider the role of the internet and social media- in general information can travel further and more people become aware of what&apos;s going on in a much shorter space of time. Nevertheless, we are also aware that just because you know the product itself exists, doesn&apos;t always mean you have access to getting it. We therefore decided to reach a broader audience with this project and who better to partner with than Foot Locker, a well known leading force in the sports and sneaker world for some time. 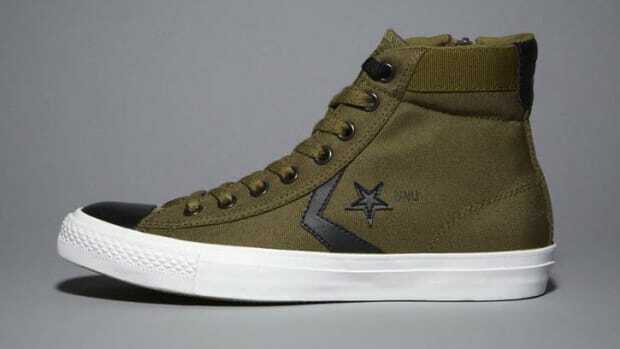 Instead of Jack Purcell or Chuck Taylor All Star, the collection centered around the Pro Leather and Star Player. Why did you choose this style? 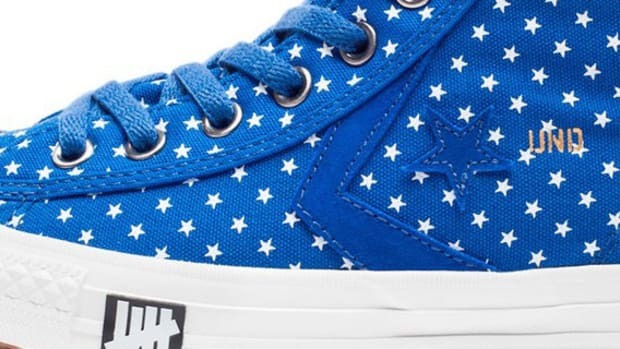 Both Converse and Undefeated are brands that are rooted in and influenced by American Sports and Sport Heritage as a whole, so it made sense to reflect this in the silhouette choice. 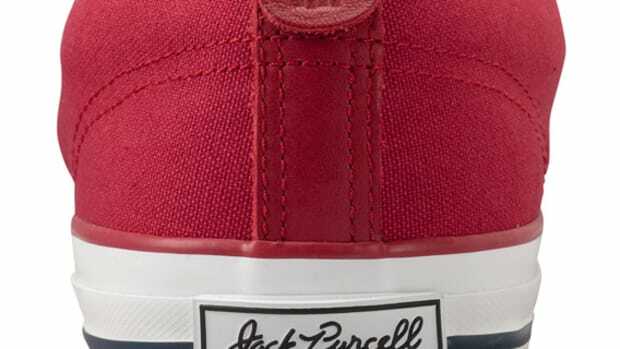 Both the core styles used are iconic heritage basketball shoes that have been favorites of the team for some time and are an inspirational basis to start the design process- for example, the Pro Leather having been played in by greats such as Julius &apos;DR.J&apos; Erving. 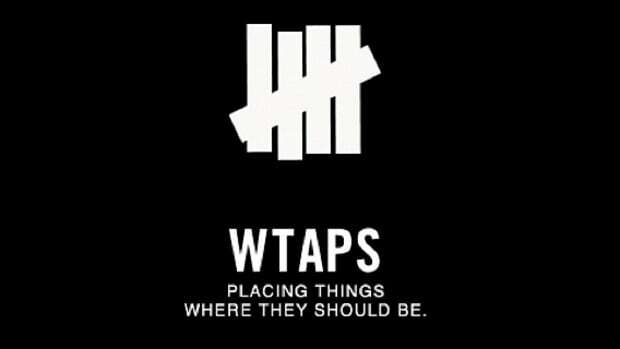 As a designer, how do you determine the balance between the aesthetics of both brands? 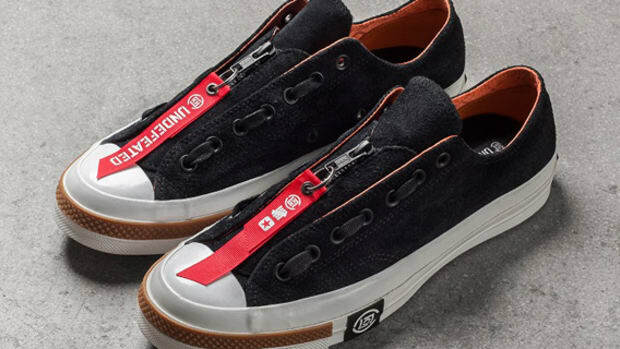 In other words, how do you keep the "CONVERSE look" within the Pro Leather and Star Player without disregarding the alterations made by UNDFTD? We like to treat the collaboration process as a true partnership, like any true partnership there&apos;s give and take, but that&apos;s what elevates the product to be the best it can be. Converse has a huge and diverse heritage and makes this statement with the shoe models themselves; a &apos;blank canvas&apos; for Undefeated&apos;s self-expression. The Undefeated crew have a great respect for our heritage and take this into account when developing their ideas- we then work together to hone in on the design details that best reflect this.